What’s different about this hiking book? 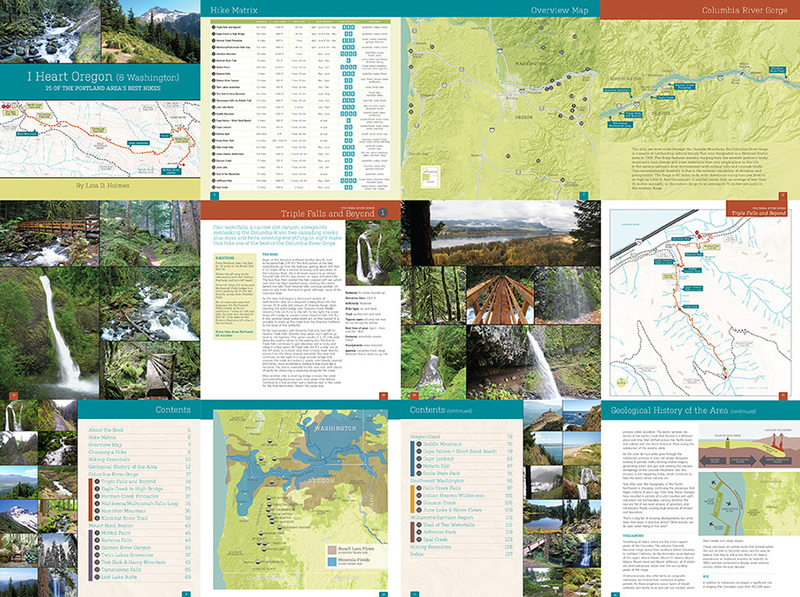 It’s a highly visual full-color book with 400+ photos and customized maps displayed throughout. Four pages are dedicated to each hike, which include up to 15 color photos and detailed maps featuring topography, marked trails, distances, elevation, and trail highlights. As a graphic designer, I’ve focused on making the book’s design easy to use and providing a much more visual approach to the subject than currently exists. Anyone who loves to spend time in the outdoors. Most of the hikes covered are easy to moderate in difficulty, with only a few that are more difficult challenges. You don’t need to be an avid hiker, but I hope you will become one after exploring the areas covered in this book. Along with several hikes that are well known and popular, I’ve shown areas that are less familiar yet still have enough interesting features to make a longer drive or extra physical effort on the trail well worth it. Instead of trying to cover all hiking possibilities in the region, I focused on 25 hikes that I consider to be the best in the Portland region: ranging from the Oregon Coast to Mount Hood, and from Southwest Washington to Mount Jefferson.